A wedding is always a special occasion, but a marriage in Tuscany is undoubtedly a unique experience. The weather, the nature, the charme of the architectures, the variety of panoramas… everything contributes to create a perfect background that brides and grooms love. No wonder that people from all over the World come here for their special day. If you are thinking to say “I do” in this special land, here’s our suggestions for the best 5 places for your destination wedding in Tuscany. San Galgano is with no doubts one of the most magical place of Italy and the perfect location for a Tuscan wedding. This roofless former abbey dated to the XIII century is now one of the locations that the municipality of Chiusdino offer for civil weddings. Here, you can pronounce your vows under the Tuscan sky, both during the day and after the sunset and at night, for a really incomparable atmosphere. If you are looking for a location for a Catholic ceremony, a few steps away there’s the “Eremo di Montesiepi”, an intimate and romantic church, home of the worldwide known “Sword in the Stone”. Who has never dreamed to get marry on the beach, with the wind in the hair, barefoot on the sand while the sun melts into the sea? In Tuscany, this dream can become true. Even if the Tuscan seaside is less knows that the countryside and its hills, the Tyrrhenian coast is the perfect set to celebrate your special day. There are many options to marry on the beach in Tuscany, and several beach clubs that offer the possibility to organize a symbolic rite or a civil ceremony with a legal representant of the municipality. 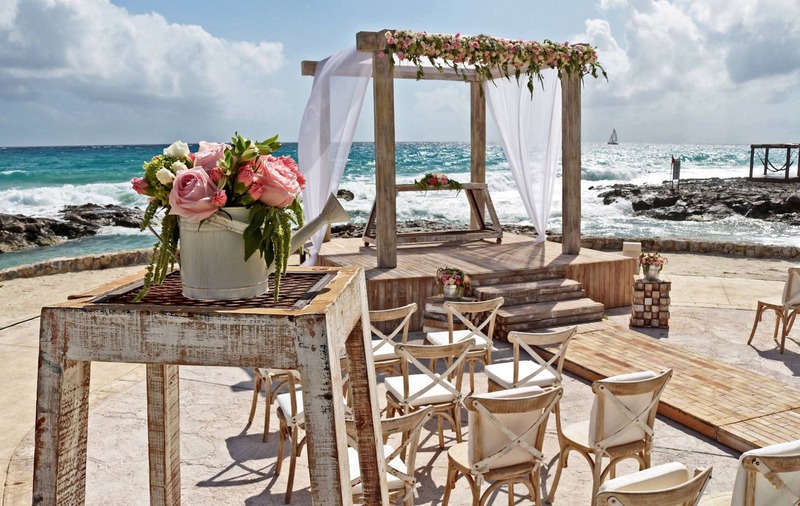 Just choose your favorite spot and prepare for a unique wedding. Fairytales always end in a charming castle. If your dream is a Royal Wedding, you should definitely choose a Tuscan castle for your “happily ever after”. The charming atmosphere of this buildings that grew across the centuries will add to any wedding an elegant and magical touch. Castello Banfi Il Borgo, Castello di Vicarello, Castel Porrona – which has a small and romantic church inside its walls – are all perfect choices if you want to marry in a Castle in Tuscany, but there are many historical buildings all around the region which are the perfect location to feel like prince and princess. For example, what do you think about this amazing wedding at Castello di Gargonza? Isn’t it a dream? Nothing says “Tuscany” as vineyard and olive trees. Why don’t you choose this amazing natural setting for your destination wedding in Tuscany? The rustic chic style is very popular and can add a unique fascination to your Big day. A lot of relais and resorts or country houses offer full wedding packages and they can help you organize the day you and your half dream of. 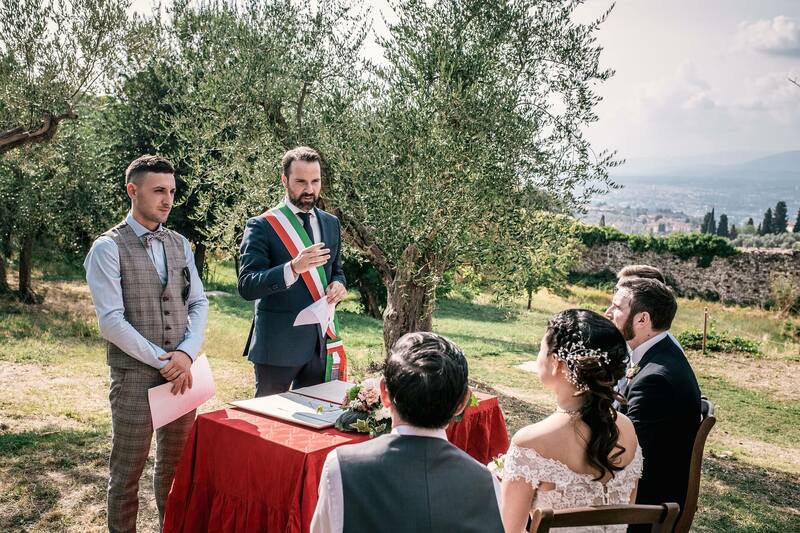 You can host both the ceremony and the reception in the fields or choose different location for the different phases of the wedding: in any case, the Tuscan countryside will be a marvellous background for your pictures and souvenirs. What certainly Tuscany don’t lack is little charming medieval villages which hide inside their walls wonderful treasures. The “borghi” are some of the best place to get married in Tuscany: with their peculiar atmosphere and the style of their streets and buildings, they are a lovely framework for a wedding. You can choose between some the most famous medieval villages, such as San Gimignano and Volterra, seek for something more intimate like Monteriggioni, Torrita di Siena or even look for an uninhabited small village and rent it all for your big day.